Grade separated or multi-level cycle facilities where bike paths overpass or underpass roads and junctions are quite normal in the Netherlands. Most of these were built relatively recently. 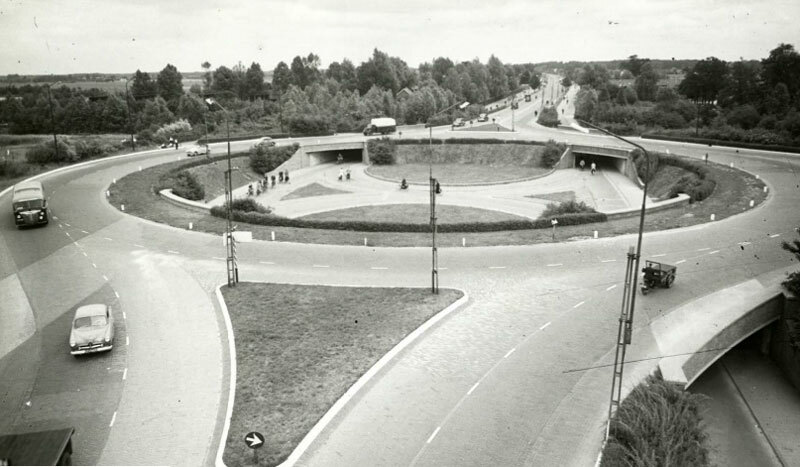 In Utrecht there is a multi-level cycle roundabout that is a lot older. It turns building started as early as 1939! Building it was finished in 1943. It is still used almost 70 years later! This entry was posted on 22 November 2009 by Bicycle Dutch in Video post and tagged grade separated roundabout, history, roundabout, Utrecht.